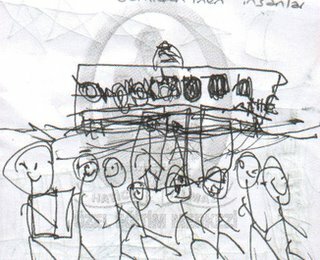 ...And this is my 4 years old son's sketch: People get off the ferry on the Uskudar (Scutari) port. Right, it's really a chaos! CANLANDIRMACILAR THIS IS A BEAUTIFUL DRAWINGS :),PLEASE POST MORE!!! !